The UK Space Conference could not take place without the fantastic support from our sponsors. We are proud to partner with influential government departments and key industry organisations from across the UK and overseas. At the heart of UK efforts to explore and benefit from space, the UK Space Agency is responsible for ensuring the UK retains and grows its strategic capability in space systems, technologies, science and applications. With its support, the UK space sector continues to grow rapidly, employing around 42,000 people and generating an income of £14.8 billion each year. The UK Space Agency is working with industry and academia to stimulate an even stronger position in global space markets, while using the power of space to inspire the next generation of scientists and engineers – all as part of the UK Government’s Industrial Strategy. And as new technologies are making space more accessible, the UK is seizing the significant opportunity to play a major role in commercial small satellite launch and sub-orbital spaceflight from spaceports across the country. The UK Space Agency is an active member of the international space community, with an annual £300m investment in the European Space Agency and through its innovative International Partnership Programme, which is using space expertise and technology to tackle global challenges. It supports UK universities in conducting cutting-edge space research and astronomy, while funding exploration missions that are putting the UK space community at the forefront of space science. 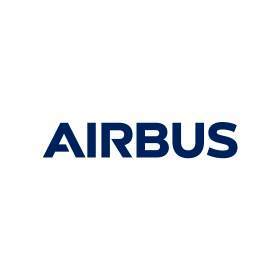 Airbus is Europe’s largest and most innovative defence and space company. We create innovative, effective space and defence solutions and services for our customers, driving our industry forward. Airbus generates revenues of around €11 billion per year and employs approx. 32,000 employees, Airbus Defence and Space is one of the world’s largest space companies and one of the top 10 defence companies globally. Airbus Defence and Space develops and engineers cutting-edge and peerlessly reliable products in the field of defence and space. The three business lines consist of military aircraft, space systems, and communications, intelligence and security. Military aircraft is responsible for fighter aircraft, airlifters, aerial refuelling tankers and airborne warfare systems. Space systems focuses on space exploration, Earth observation, intelligence systems, network and tactical systems and informative solutions. While communications, intelligence and security plays a key role in secure communications and cyber security. In the UK Airbus space is a world leading centre for telecommunication satellites, including direct to home broadcast satellites, secure communication satellites, as well as Earth observation and science spacecraft. The company is also home to the European Space Agency’s ExoMars rover mission, due to launch in 2020. Dstl delivers high-impact S&T for the UK's defence, security and prosperity. Dstl works to get the maximum impact from their S&T portfolio. They provide a range of specialist S&T services; doing work that has to be done within Government. Dstl provide expert and impartial advice, analysis and assurance to MOD and other customers. They integrate their own work with contributions from industry, academia, other parts of Government and our allies. Dstl have – and ensure that – the required capabilities are available now and will be in the future. This means they have to have the right people, relationships, infrastructures and knowledge to practise. Dstl work across Government and with industry, academia and their allies to achieve this. The Dstl Space S&T Programme seeks to exploit the full potential of space for UK Defence and Security. The programme seeks to identify, design, and develop innovative and resilient Space concepts and technologies, collaborating both nationally and internationally, to enhance MOD understanding of the military potential of Space. With these important partnerships, the UK is better able to respond to future opportunities and threats, with an enhanced and affordable defence and security Space capability. Drawing on over 40 years of experience and a unique combination of skills, expertise and cultures, Thales Alenia Space delivers cost-effective solutions for telecommunications, navigation, Earth observation, environmental management, exploration, science and orbital infrastructures. Governments and private industry alike count on Thales Alenia Space to design satellite-based systems that provide anytime, anywhere connections and positioning, monitor our planet, enhance management of its resources, and explore our Solar System and beyond. In the UK, Thales Alenia Space has space engineering facilities in Bristol, Harwell and Belfast and provides the design, assembly, integration and testing for satellite propulsion systems and satellite subsystems and undertakes system design studies whilst advancing its capabilities as a prime contractor in the UK for major space missions. Thales Alenia Space sees space as a new horizon, helping to build a better, more sustainable life on Earth. A joint venture between Thales (67%) and Leonardo (33%), Thales Alenia Space also teams up with Telespazio to form the parent companies’ Space Alliance, which offers a complete range of services. Thales Alenia Space posted consolidated revenues of about 2.5 billion euros in 2018 and has around 8,000 employees in nine countries. Over 30 years of space innovation, an innovative approach to the design, build, launch and operation of satellites, has propelled Surrey Satellite Technology Ltd (SSTL) to the forefront of the small satellite industry. SSTL is committed to changing the economics of space and they continually push the boundaries of the possible, exploiting advances in technologies, challenging conventions, and bringing affordable space exploration to their customers. SSTL delivers complete mission solutions for remote sensing, science, navigation and telecommunications as well as supplying avionics suites, and ground infrastructure. CGI is a global IT services company with over 74,000 professionals. In the UK, CGI has a reputation for delivering secure, mission-critical, end-to-end information solutions and technical excellence. It supports systems from satellite navigation, communications and operations, to space enabled applications. By bringing expertise in multiple IT disciplines and ideas from commercial and Government solutions, CGI supports its Space, Defence and Intelligence clients in solving complex technical challenges. Cornwall is developing a disruptive space economy, offering solutions in the design, build, launch and tracking of satellites. With Cornwall and Virgin Orbit partnering to deliver a horizontal launch at Spaceport Cornwall by 2020, the development of a capable, safe launch environment is well underway. The world’s largest satellite earth receiving station, Goonhilly Earth Station Ltd, offers a communications gateway into space and is the mission control partner for Spaceport Cornwall. These ground-breaking space assets are lowering the cost of accessing space, allowing businesses to realise the potential of their technologies. Cornwall is extending a welcome to businesses who can play their part in developing the south west’s space sector. Cornwall are fuelling this by offering dedicated support to businesses looking to expand into the region, and who want to take advantage of R&D funding and business collaboration opportunities. To find out more about Cornwall’s unique space offer and how your business could benefit, contact james@aerospacecornwall.co.uk. Sapienza's Workforce Solutions Services offer unique value to (inter)national organisations, as well as space, defence and security concerned companies. They have a rich and diversified Workforce Solutions Service portfolio that flexibly meets clients’ needs for temporary and long-term support consultants (with or without Security Clearance) and services offered on Work Package and Project basis. Providing key enabling technologies for space, Teledyne's UK capabilities and heritage span custom CCD, infrared, COTS+ and CMOS imaging sensors and sub-systems used for Earth observation and the largest space telescopes, through to space based communications systems for OneWeb. With an eye always to the future they are leading the UK in the commercialisation of quantum technologies for space. Teledyne companies also develop systems and components for the ISS and spacecraft that visit distant planets and asteroids. Teledyne’s UK space capabilities include Teledyne e2v and Teledyne Defence & Space. Telespazio VEGA UK (a Leonardo and Thales company) is an experienced consulting, technology, engineering, space operations and service development business. TPZV UK has built its first class reputation over the last 40 years by exploiting new technology developments in Earth Observation and Satellite Navigation & Communications to pioneer innovative services in space operations and geospatial data applications. The Satellite Applications Catapult is a unique technology and innovation company, boosting UK productivity by helping organisations harness the power of satellite based services. They work with businesses of all sizes to realise their potential from space infrastructure and its applications and bring new services to market. By connecting industry and academia the Satellite Applications Catapult get new research off the ground and into the market more quickly. The Satellite Applications Catapult is one of 10 Catapults, established to transform the UK’s capability for innovation in specific areas and to help drive future economic growth. They help organisations make use of, and benefit from, satellite technologies, and bring together multi-disciplinary teams to generate ideas and solutions in an open innovation environment. The Satellite Applications Catapult aims to support UK industry by accelerating the growth of satellite applications and to contribute to capturing a 10% share of the global space market predicted by 2030. Reaction Engines Limited (‘Reaction Engines’) is a privately held company based in Culham, Oxfordshire, UK. It employs over 200 staff across its sites in the UK and US. Reaction Engines develops the technologies needed for an advanced combined cycle air-breathing rocket engine class called SABRE (Synergetic Air-Breathing Rocket Engine), a leading contender for the next generation of hypersonic flight and space access vehicles. Central to the SABRE design is the ultra-lightweight heat exchangers (precooler) Reaction Engines has developed, which stop engine components overheating at high flight speeds. These are capable of cooling airstreams from over 1,000°C to ambient temperature in less than 1/20th of a second with world leading compactness and low weight. Reaction Engines’ proprietary heat exchanger technology has a wide range of potential commercial applications and the ability to revolutionise the approach to thermal management across a range of industries; from aerospace to motorsport, industrial processes, and the oil and gas industry. Skyrora are a launch vehicle development company based in Edinburgh, Scotland. They aim to cater for the growing demand to send small satellites into space. Skyrora use a combination of proven technology, inspired by Black Arrow and Skylark, alongside advanced manufacturing to create cost-effective vehicles that will launch from the UK. They are currently working through a sub-orbital test programme whilst conducting engine testing for their orbital vehicle. MDA has been a trusted provider of industry-leading radar satellite systems and imagery, ground systems, space robotics and sensors, satellite antennas, electronics and payloads, surveillance and intelligence solutions, and defence systems for customers in international government and commercial sectors for five decades. The company’s breadth of expertise, and long history of innovative industrial firsts has made it the go-to source for advanced technology and mission-critical solutions for exploring space, and monitoring and understanding land and maritime change and activity anywhere on Earth. In-Space Missions (UK) brings together experience and innovation to create space businesses through collaboration and in-orbit demonstration. It develops new space and ‘newspace’ missions and provides consultancy and procurement support to the space sector. In-Space operates globally and has collaborated with or supported over 25 newspace, traditional space, institutional, financial, academic and government organisations since its inception in 2015. In-Space provides Mission as a Service IOD capability (Faraday-1, launch Q2 2019), is developing an AR/VR immersive real-time video from space service (launch 2020), and has developed a number of platform technology products. In-Space Missions – Your Partners in Space.